All of our products are handmade by us with love. We hope you find what you are looking for, but if you have something special in mind please check out our contact page and let us know. 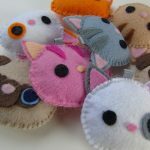 We are more than happy to do custom orders on any of our products, from charms and felt soft toys to friendship bracelets! 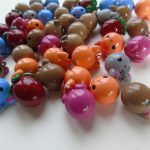 Take a peek at our adorable polymer clay charms, perfect as gifts, for adorning your keys or hanging around the house for a touch of cuteness. Each of our charms have been lovingly created and hand-painted, giving each one its own unique character. How many can you collect. Each of our animal felt friends are made with the softest felt and as squiggy as we dare. Each friend has been hand-cut and stitched to ensure that every one has it’s own unique character. Scattered around on your desk, pillow or shelf these cute-as-a-button pugs, bears, cats and mice always bring a ray of sunshine to your day. For yourself or as a gift for another, our fashionable bracelets and wristbands are fabulous for accessorising your latest wardrobe purchase. 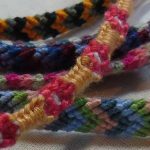 Each of our hand-made bracelets have been knotted together using colourful weaving yarns, buttons and beads to create a most unique set of designs. If you really can’t see what you are looking for, then let us know your preferences and we will make your custom design within 24 hours.